For more than ten years, pluralism in economics and in the education of economists has been a hot issue. 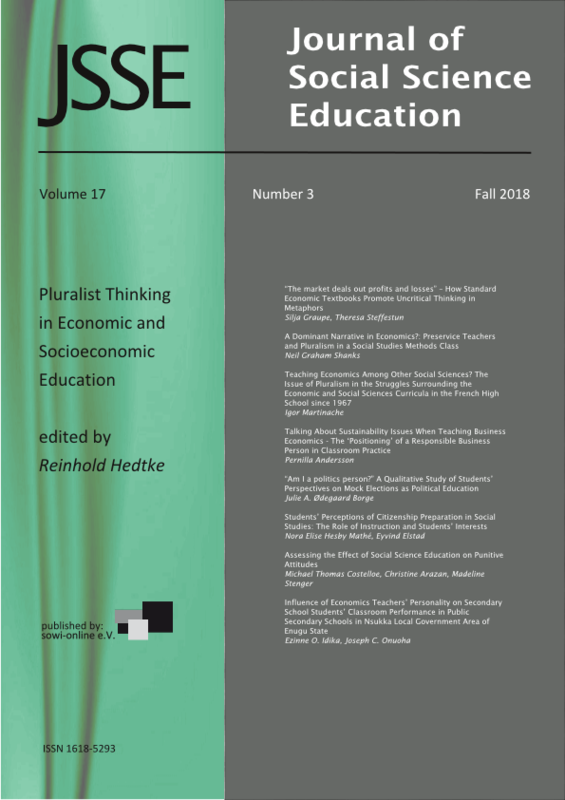 This thematic issue of the JSSE addresses phenomena, findings, problems and educa-tional approaches of economic plurality and pluralism in economic research at different levels and in different contexts of the educational system. The Issue focuses on teaching and learning in schools and on teacher education at universities and colleges of teacher training. 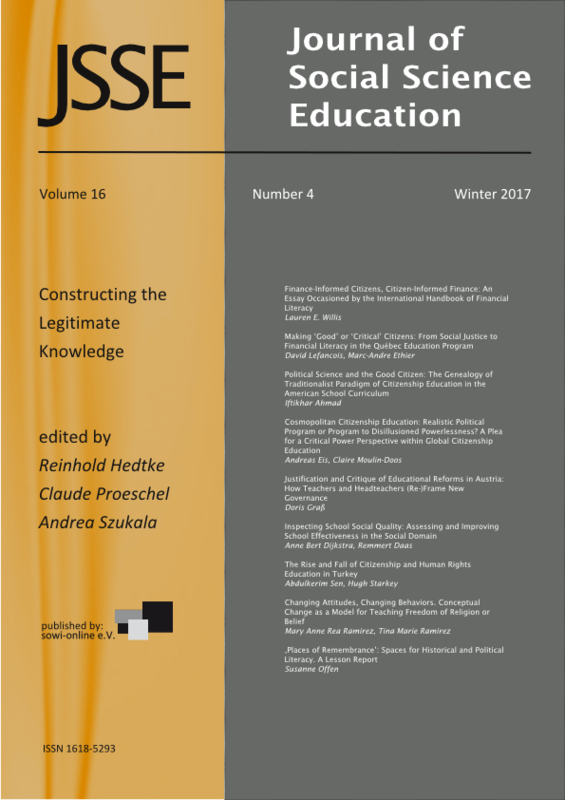 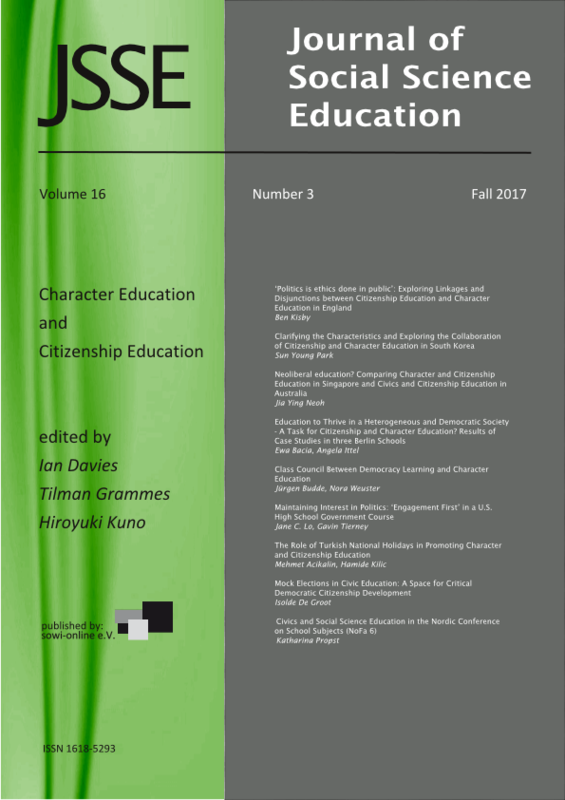 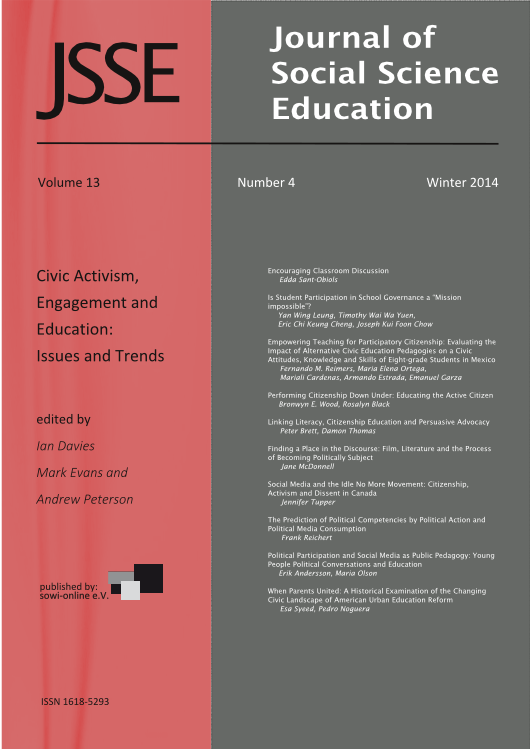 This special issue is devoted to the analysis of how textbooks and educational media frame citizenship education in secondary schools in the European context. It includes five empirical papers that contribute to a better understanding of the role of educational policies and curricula in promoting (or not) young EU citizens’ engagement, participation and active citizenship. This special issue addresses democratic topics of school- and classroom-climate, sexual diversity and its acceptance in school, the role of criticality in citizenship, and human rights education, and finally, a paper on the role of emotions. 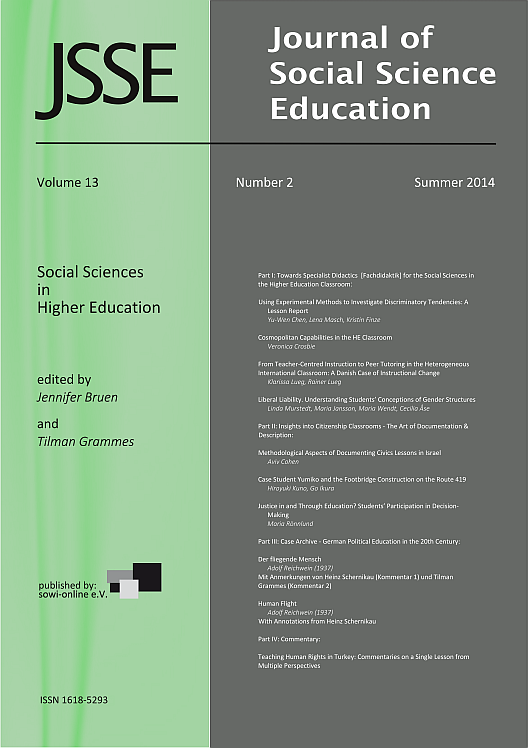 4-2012: Educations for ... in French Language Context: What Contribution of the Social Sciences? 4-2009: Sociology? 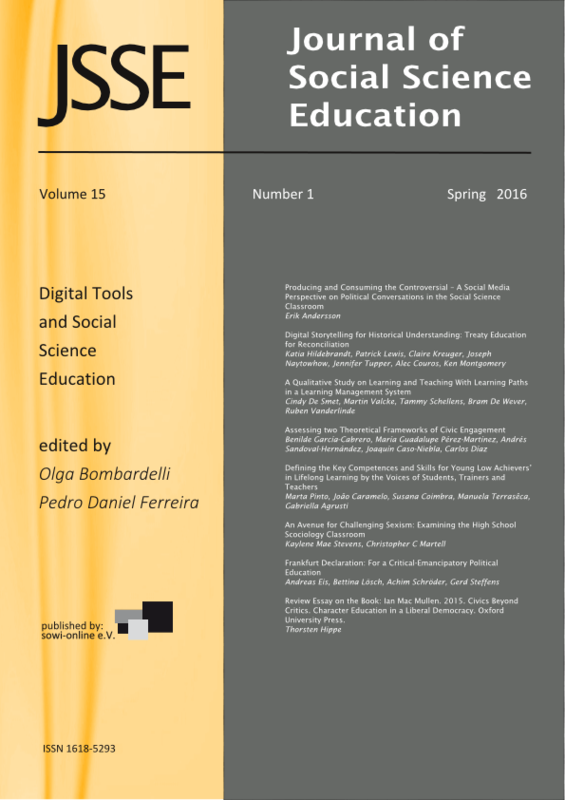 Who needs it? Number 2-2008 and 1-2009 are published as one issue.